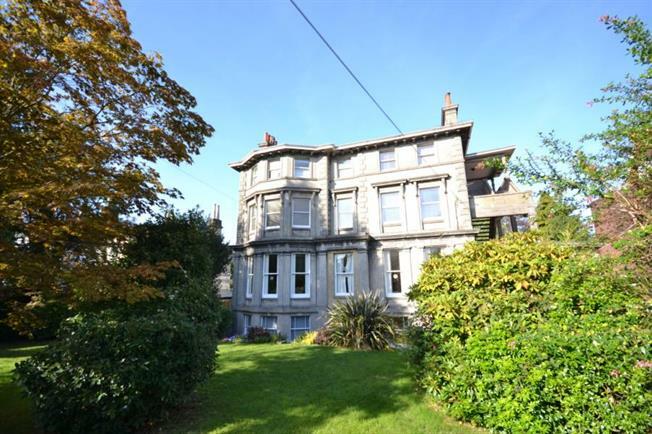 3 Bedroom Flat For Sale in Tunbridge Wells for Guide Price £500,000. Guide price 500,000 - 525,000. Freeman Forman are delighted to present this substantial and extremely spacious chain free three bedroom ground floor maisonette, with allocated off road parking, single garage and private garden. The apartment occupies the entire ground floor of the building. The property is located in the popular St. James area of Tunbridge Wells, close to the Town Centre, Mainline Railway Station and the outstanding St. James Primary School. The apartment forms part of an exceptional period property which retains many original features such as window shutters and high ceilings throughout the accommodation. The property benefits from its own private entrance, spacious front porch, large entrance hall, impressive drawing room with fireplace and floor to ceiling bay window, dining room, kitchen, utility room, three bedrooms, bathroom and a shower room. Outside the property enjoys its own large section of garden laid mainly to lawn, an allocated parking space and a single garage. The property owns a share of the freehold with further information is available via the vendors sole agent Freeman Forman.